The name's meaning: is it patronymic, topographical, toponymic, occupational, etc? Or a mix of these? This website is run like a Wiki i.e. different people make different contributions such that the responsibility and workload for the website content and construction is spread out over a number of individuals. This has the advantage of sharing the ownership of the website, engendering a sense of community, and encouraging everyone to make their own contribution to the history of the Spearin family. We use the spelling Spearin but there are many variants including Spearing, Speiran, Speerin, Speirin, Spierin, Sperin, Sperring, Spiering, Spearman, etc. There are even McSpeerins. We are a group of researchers, located in New Jersey, Canada, Australia, London, Dublin, Limerick, Cork and elsewhere, who have been researching our own individual Spearin lines for many years (even going back to the 1970s). But some of us came together in Jan 2011 to collaborate on a Y-DNA project in the hope that it will confirm what we have come to suspect ... that all our various lines are related and that we can trace our joint heritage back to a family of London goldsmiths in the late 1500s. Documentary evidence suggests that many Spearin's who can trace their family tree back to Ireland, originated in Limerick. 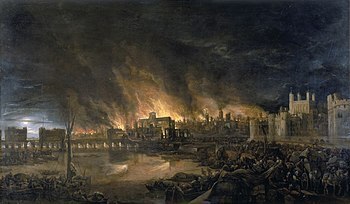 The London Spering's arrived there about 1660 to 1680, and owned extensive tracts of land in places like Adare, Beabus, Bohernakeilly (Boherquill) and Cappagh. They were landed gentry, at least when they first got there, but their fortunes changed over the years. And as successive generations were gradually assimilated into the Irish population, did they become "more Irish than the Irish themselves"? They had close ties with the Hartwell family, who in turn were English soldiers in the Army of Charles I. What the exact relationship was between these two families remains to be elucidated and is the subject of ongoing research. 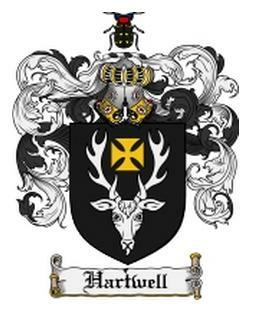 However, the families intermarried and many of the Spearin children bore the name Hartwell as a first or middle name. It is the survival through the ages of this unusual name combination in the family trees of many present-day Spearin's that allows us to make a direct link to the London Spering's who settled in Limerick in the late 1600s. You can read the fascinating story of the London Spering's in our Traditional Genealogy section. We are also exploring the origins of Spearin/Spearing variants in England and from continental Europe. It is suspected that Spearin's from Ireland originated from London and before that from the Low Countries (Belgium, Netherlands, northern Germany). 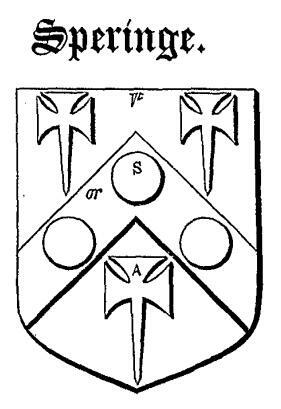 It is also suspected that many English Spearing/Sperring families share a similar origin. So this raises the question: are all three groups (Irish Spearin's, English Sperring's, and European Spierink's) related to each other? The difficulty is that documentary evidence is either lacking or inaccessible and it may take years to establish this connection by using the conventional route of traditional genelaogical research. This website is best viewed with Google Chrome or Mozilla Firefox (Internet Explorer causes formatting problems). Y-DNA testing will also tell us which branches of the Spearin family are most closely related to each other, and will also give an estimate of how far back they share a common ancestor. This in turn can help these particular branches focus their documentary research to try to establish a paper connection as well as a genetic connection between the two branches. Initial testing confirmed that the first four subjects were tightly related. Three match on 43 out of 43 markers, and one on 42 out of 43. This suggests that the exact matches have a 99% probability of sharing a common ancestor within the last 300 years, and for the fourth subject, within the last 400 years. These are excellent results, especially considering that these four initial subjects come from opposite ends of the earth ... the US, Canada, Australia, and Limerick. All of these subjects can now confidently trace their heritage back to London in the late 1500s. There are now five Genetic Families with a Spearin/Spearing (or variant) surname. The largest group is Genetic Family 1 (GF1) and has the haplotype I2b1, consistent with a Dutch/Belgian origin. All the other genetic families have the haplotype R1b1a2. These results indicate that all members of GF1 are close genetic cousins with a common ancestor in the past few hundred years. The question remains: who is he? Ongoing work with traditional genealogy is inching us toward the answer, but the common factor among the members of this genetic family are origins in Limerick, and before that in London. If you would like to join our group you are more than welcome. The more people that join and undergo Y-DNA testing, the more reliable the results become, and the more conclusions can be drawn from the data about how closely each of the individual family lines are related to each other. If you want to find out what Y-DNA testing is all about and what to expect from your results, just visit our Genetic Genealogy section (in the menu bar to the left). This also offers a critical analysis and interpretation of our results so far. Joining our group is a simple procedure and Y-DNA testing can be done at a discounted rate through our project. Firstly, if you are male and bear the Spearin surname (or one of its variants), and have already been Y-DNA tested via FTDNA, just click here to go to the FTDNA website, enter your Kit number and password under Option A, and click on Login. Your Y-DNA haplotype will automatically be uploaded onto the Y-DNA Results page. Simple! Secondly, if you are male and Spearin, but your Y-DNA has been tested elsewhere, please contact us directly and we will arrange for your Y-DNA results to be incorporated into the Results page of the website (contact details below). Simple! Find a male relative who bears the Spearin name (or variant) ... that is if you don't! Take them through this Project website and discuss the pros and cons of the test with them. you can order tests with more markers if you like, either the Y-DNA67 or the Y-DNA111 marker tests. These will give further information about your Y-DNA genetic signature and several members have already ordered these tests. Just follow the instructions and fill out the form - simple! Follow the instructions in the kit - in brief, you will need to gently scrape the inside of your cheeks with something that looks like a large cotton bud (Q tip). This will dislodge cheek cells (containing DNA, naturally) from inside your mouth. The top of the cotton bud then goes into a plastic tube supplied with the kit. Screw the cap back on and post it off to the lab. Then, 4-8 weeks later you will get an email with a user ID and passcode to access the website to view your results and compare it to the others in the group - does your family line go back to the 1500's? Take the test and find out. Join us today ... you could find out more than you ever imagined! Copyright 2011-2015 (http://freepages.genealogy.rootsweb.com/~spearin) All Rights Reserved. The Spearin Surname Project at http://freepages.genealogy.rootsweb.com/~spearin is licensed under a Creative Commons Attribution-NonCommercial 3.0 Unported License. Information and data obtained from the Spearin Surname Project must be attributed to the project as outlined in the Creative Commons License. Please notify administrator when using data for public or private research.